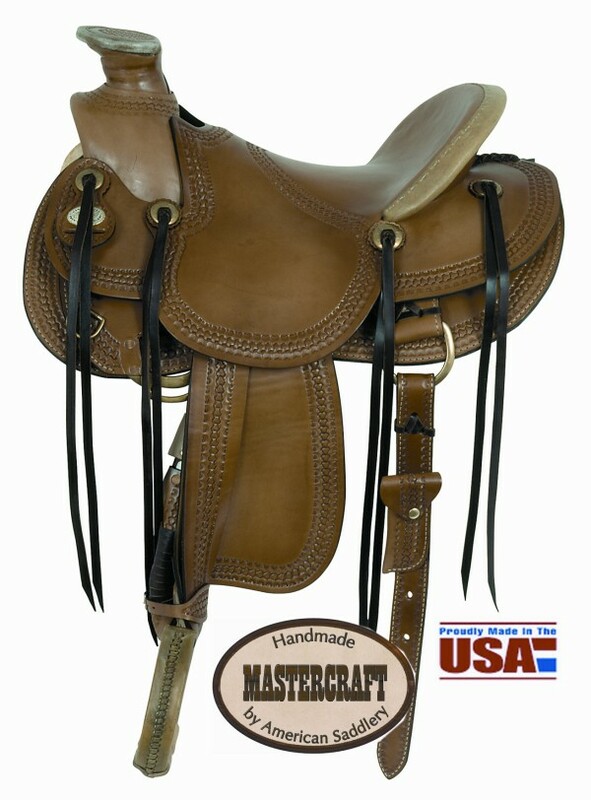 MasterCraft by American Saddlery 16" Triangle Wade Ranch Saddle. Triangle Border Wade - The three-prong basket border tool was first made in 1926-27 by Frank Russell, a prominent toolmaker around the turn of the century. The style used on this particular saddle is from a tool made by 60 year tool making veteran Ellis Barnes. Special features include brass conchos and a matching hoof pick holder attached to the rear billet strap. Medium oil only. 16" Seat. Rigging: Dropped brass rigging in 7/8 positions.